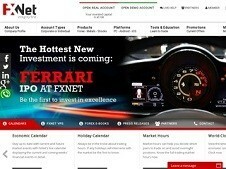 January 12, 2013: Add a listing for FxNet. The good thing about STP brokers is that they don’t intervene in your trades. This broker is amazing. No delaying on order executions and no intervene in my trades. Their spreads are not the best this is for sure. They said that are fixed but not 100% sure if they mean it. I will open a demo account and will see the results. one good thing about fxnet is they accept all my trades. I have been scalping like crazy and all they tell me is to do more volume ^^ – I love that! I opened an account today and was pleasently surprised to get a $300 bonus :). I deposited 600 and now my equity shows $900. they must have some promotion i guess but didnt see it on their site. EURUSD spread is 2.8 !!!!!! Are you joking ? Leaving in a world that 1000 brokers are competing for clients, they are offering a spread of 2.8 ? I prefer a recognised broker with far less spread, don’t waste your time on their demo. At FxNet we present our spreads honestly and in accordance with our liquidity providers’ pricing. Our Standard Account EURUSD spread start from 2.3, while our Platinum starts from 0. The company and the website clearly state that we offer floating spreads through an STP (Straight Through Processing) System and therefore any trader would know that under different market conditions spreads can become slightly higher but also lower. FxNet is regulated by CySEC and is registered with a series of European authorities, all of which can be seen on the perspective websites. 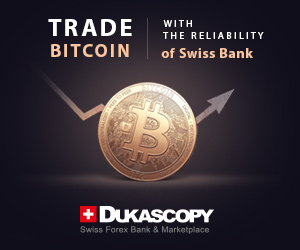 Our motto is to be transparent and honest allowing clients to be informed before deciding to trade with us.